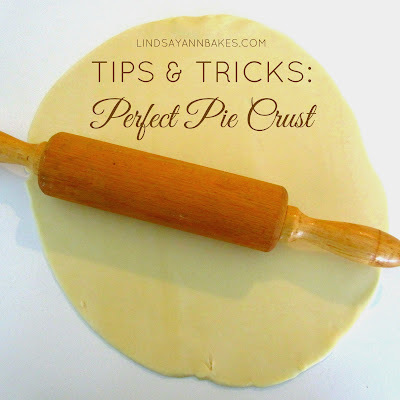 Pie crust is pretty simple and only requires a few ingredients. 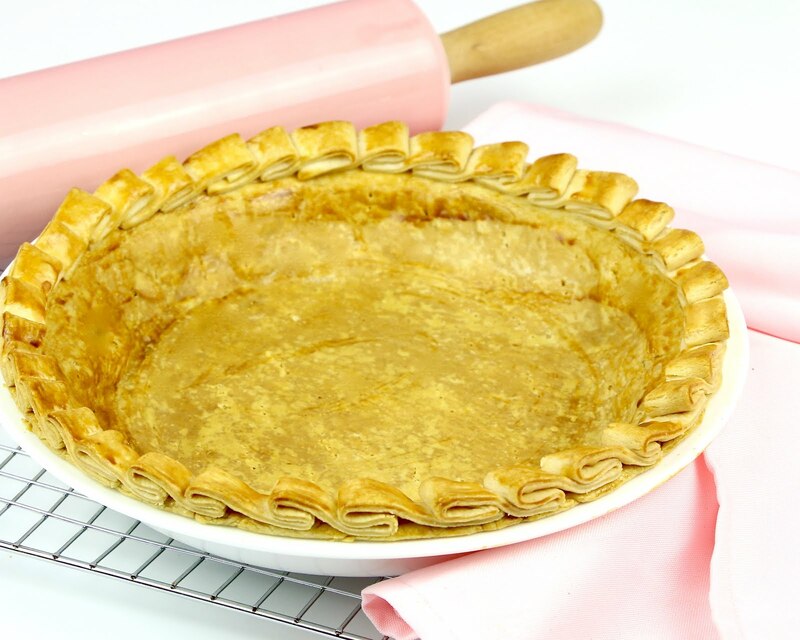 Pie crust is a mixture of flour, fat, liquid and may use salt and sugar to enhance flavors. 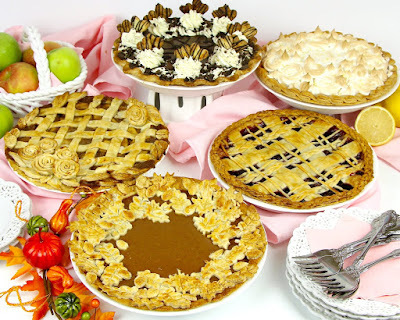 Flour: Most pie crust can be made using all-purpose or pastry flour. A great trick is to split up the flour up in to two parts to ensure a tender crust. Use a majority of the flour to cut into the butter, protecting it from the liquid in the recipe, which will create gluten when combine. The rest of the flour is added after, leaving only a small part of the flour to be used for gluten formation. Gluten is created when the liquid and protein in the flour combine, creating a tough chew that you don't want in your crust. Fat: There are many ways of creaking a flavorful, tender, flaky pie crust. Recipes can vary from using all butter to all shortening, oil, lard, or a combination. The most common fats used are shortening and butter. Vegetable shortening adds a nice flaky texture to the crust and is a little easier to work with because it holds it shape better and doesn't melt as quickly as butter, yet it will not have the rich flavor that a butter crust yields. I prefer using all butter, for a simple, rich, tender crust, with all of flavor shortening and oil just can't bring. You can also use a combination by substituting some of the butter for shortening if you choose, for a rich, buttery, yet flaky crust. Either way, you are looking for pea-sized clumps of fat that do not blend into the flour completely. The visible pieces of butter/shortening throughout the dough will melt during baking to create the flaky layers in your crust. This is why it is important to use ice cold butter, so you do not melt or break down the butter too much when working with it. A great way to ensure your butter is ice cold before working with it, is to cut it into small cubes and freeze it for about 30 minutes before you begin. Alternatively, oil or melted butter will yield a crispy crust, without flaky layers. Liquid: Recipes use anything from water, milk, juice, sour cream, egg, cream cheese, vinegar and even vodka as the liquid to bind the ingredients together and add flavor (vodka is used in place of the water because it is a liquid that can bind the ingredients without adding color/flavor/odor, yet most of it evaporates when baked since it is mostly alcohol). I stick with water with the addition of a little vinegar. The acid in the vinegar helps further tenderize the dough and prevents it from oxidizing. It is important to add liquid very slowly, 1 tablespoon at a time. The liquid should always be ice cold when adding it to the dough. Additions: Salt should be present in your recipe to help enhance the flavors so you don't have a bland crust. I also like to sweeten the dough with sugar. You can use powdered sugar over granulated sugar to prevent stickiness, making the dough hard to roll out and work with. You can also substitute some of the liquid in your recipe for an ice cold flavored liquor for a touch of flavor (the alcohol will bake out). Even add a dash of espresso powder, cinnamon or spices for an extra kick of flavor. If I don't use a food processor, it's mainly because it adds more dished for me to clean, but I also find that it can also over overworks the dough in the end, so the crust doesn't come out as tender as when I make it by hand. Yet, using a food processor is a lot quicker, meaning there is less time for the fat to warm up, so if you use a food processor, only use it to cut the fat into the flour and add the water by hand so you don't overwork the dough. To cut the butter into the flour, I usually use a hand held pastry blender, but a fork works too. Then, to incorporate the water, use a spatula to fold the water into the mixture. It is important to work quickly and not to over knead your dough, as this will compromise the texture and create a tougher, less flaky crust. Be sure to chill the dough in the refrigerator for at least an hour or two. Chilling the dough allows the flour to absorb the liquid and dry out the dough for a less sticky, more easily handled dough that has more elasticity to hold its shape better so it does not shrink as you stretch and roll it and press it into your pan. Roll out dough about 1/4 inch thick on a lightly floured surface or between two pieces of wax paper to eliminate sticking. For a nice round, rolled out dough, firmly roll the dough from the center to the edges, turning the dough slightly as you work by lifting up an edge to ensure it's not sticking to the counter. Add flour as needed. 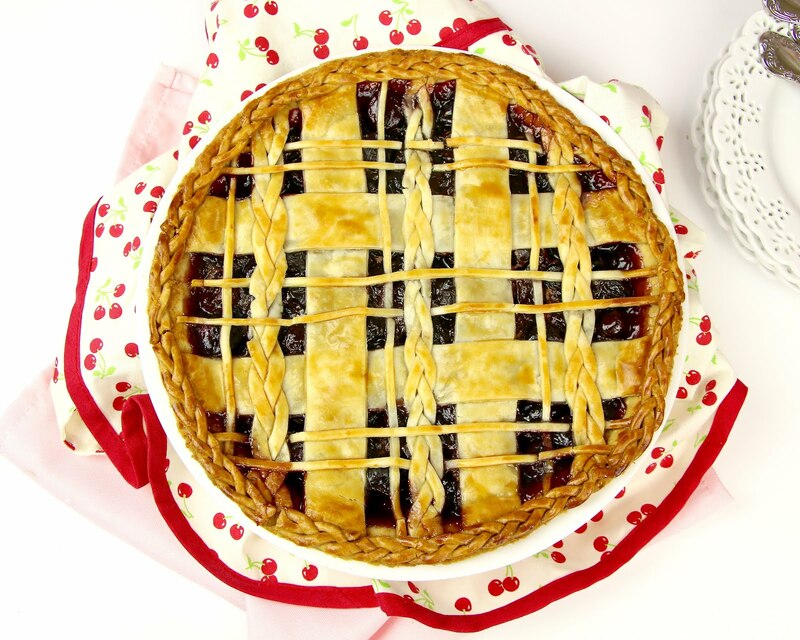 You will need to roll circles of dough about 2 inches wider than the diameter of your pie pan. Brush off any excess flour with a pastry brush. 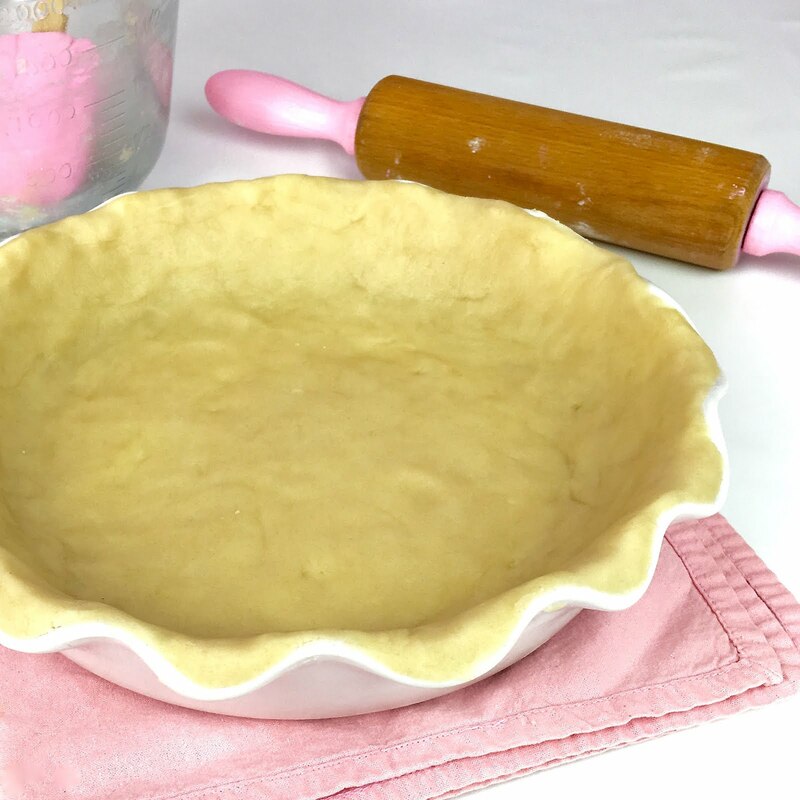 To transfer the dough to your pie pan, roll up the dough around the rolling pin and unroll it over the pie pan, pressing the dough gently into the bottom of the pan. You want about a 1/2-3/4 inch overhang of dough around the edges. 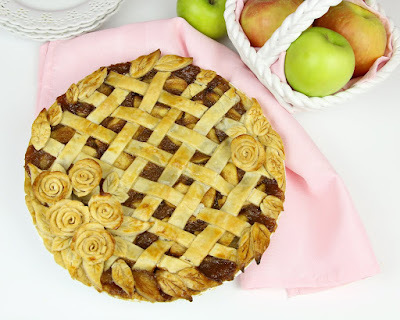 You can even try make fun crust shapes and designs! If you're making a single-crust pie (a pie with crust only on the bottom, fold the dough under itself onto the top rim of the pie pan, pressing the edges of the crust into a fluted design or crimp with a fork. Once you have placed your pie crust dough in the pie pan, refrigerate your dough lined pan for about 20-30 minutes to prevent the crust from shrinking during baking. Remove from the fridge and brush the bottom and up the sides of the dough with a beaten egg white to prevent the filling from creating a soggy bottom crust. Next, if making a pie with a top crust, prepare the pattern, cut-outs or designs for your double-crust or lattice-top pie and place on top of a wax paper or parchment paper lined plate or baking sheet while you prepare the filling. If your recipe calls for pre-baking the crust before the filling is added, simply line the crust with foil or parchment paper, fill with pie weights or uncooked beans, bake until you just begin to see the crust deepen in color. Once color just begins to appear on your crust, remove the foil/parchment and weights and prick the bottom and sides with a fork to let air escape to prevent air bubbles in the crust. Bake until a very light golden color. Brush with egg whites, add filling and bake as directed. 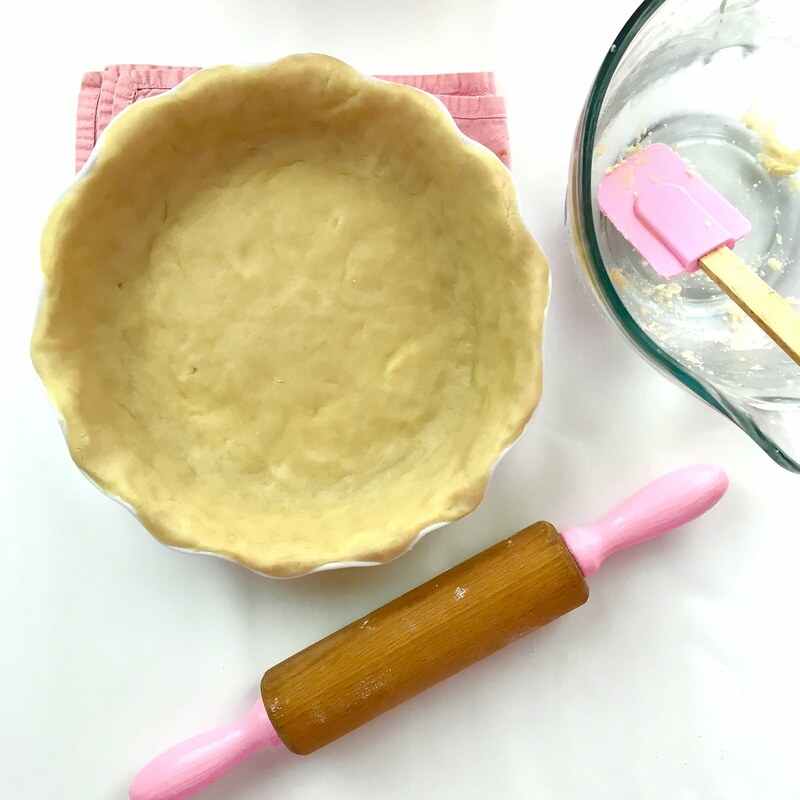 Simply brush an "egg wash" over the top of the crust with a pastry brush before baking: Beat 1 large egg with 1 tablespoon cream, milk or water for a classic egg wash. 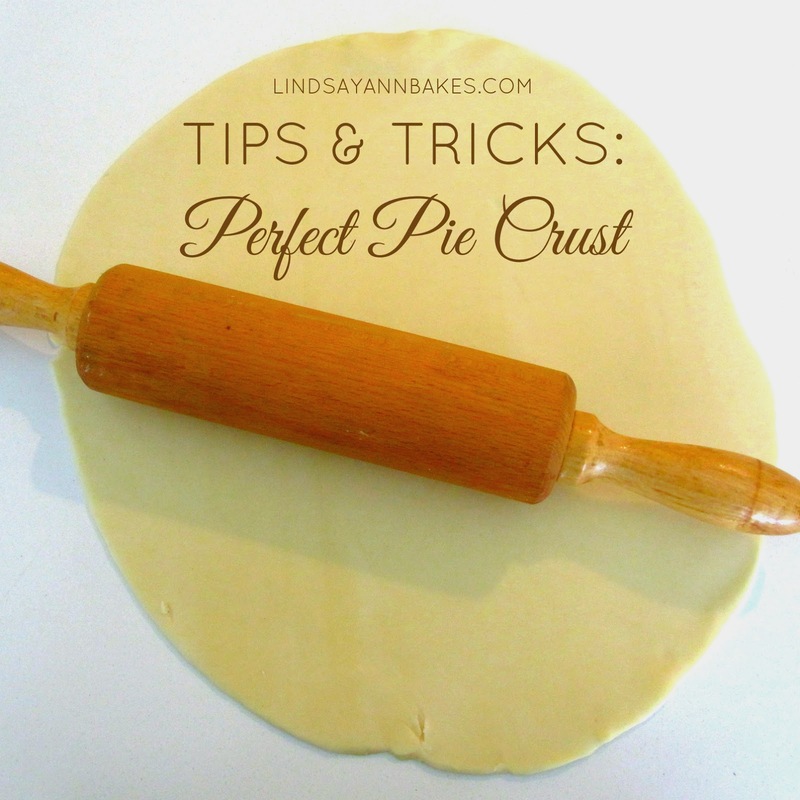 If you want to skip a top crust, try adding special toppings like fresh fruit or whipped cream! 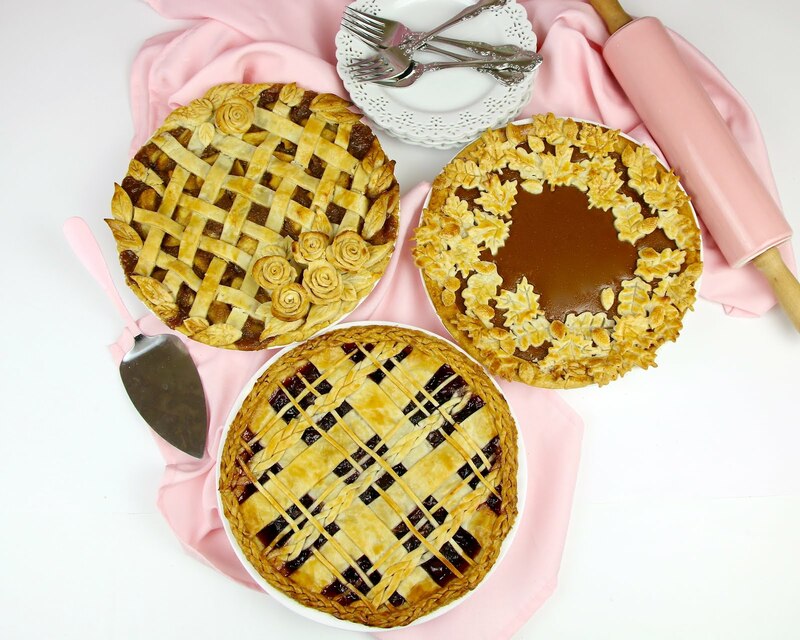 You can use pie crust for anything from classic fruit filled pies, to savory quiches, decadent cream pies, sweet ice cream pies, even hand pies filled with anything from peanut butter and jelly to pizza sauce and cheese, the filling possibilities are endless.